Find the right battery for your motorcycle. For the best performance and easy starting, it's important to ensure you fit the correct battery to your motorcycle. Wemoto lists batteries to the motorcycle, scooter or ATV that they fit, so you can be sure that you order the correct one for your model. Use the dropdown list above to search for your bike, or if you'd rather search by the code of your battery (for example, YTX9-BS), use the part number search below. 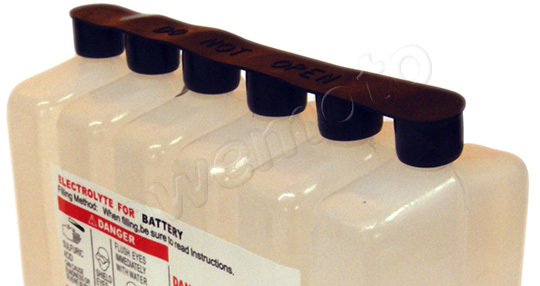 Wemoto also stock battery acid (electrolyte) and battery chargers for the maintenance of all types of battery. Nitro motorcycle batteries are a high quality pattern alternative made to the same specification as the original equipment manufacturer's (OEM) battery, and offer savings when compared to the original. Nitro also manufacture batteries specially designed for Harley Davidson with the correct terminals and high CCA (cold cranking amps). 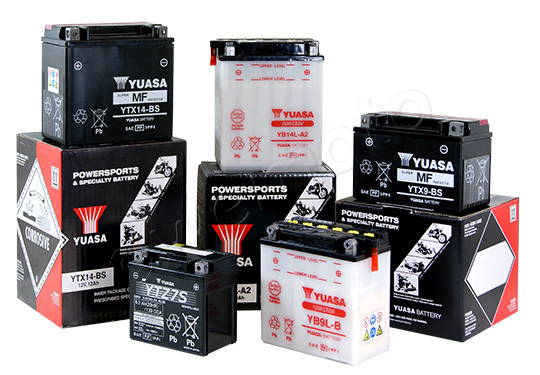 Yuasa batteries are fitted as original equipment for many motorcycle models, including many Honda and Kawasaki models. Motobatt batteries are high torque upgrade, offering higher cold cranking amps and better starting than the original motorcycle battery. All Motobatts are sealed AGM batteries. Skyrich Lithium Ion batteries are light-weight (1/3 of a normal lead-acid battery) and more compact. They also benefit from having a higher torque for improved starting power. Many motorcycle, scooter and ATV batteries are supplied 'dry' - they must be filled with acid and charged before use. They'll also need topping up at intervals. VRLA (Valve regulated lead acid) batteries are also known as 'maintenance free' batteries. They do not require topping up. In AGM (Absorbed Glass Mat) batteries, the electrolyte hold within a glass fibre mat, which makes them more resistant to damage from vibration. For more in depth information about different types of battery, read our motorcycle battery installation guide and motorcycle battery care guide. Buying a trickle motorcycle charger for the maintenance of your new battery is a must. 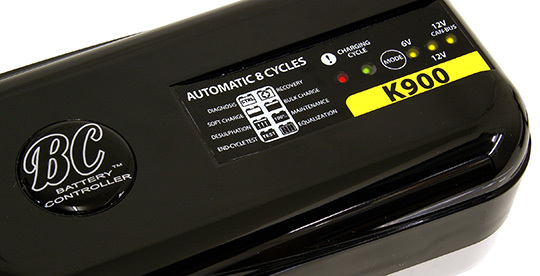 See our battery charger comparison for the features of our motorcycle battery chargers.